For shunts, the program automatically assigns the names SH-1, SH-2, SH-3, and so on. This is the ID name of the bus to which the equipment is connected. The base kV of the bus is indicated on the right. R+jX Shunt data is entered as R+jX in ohms. 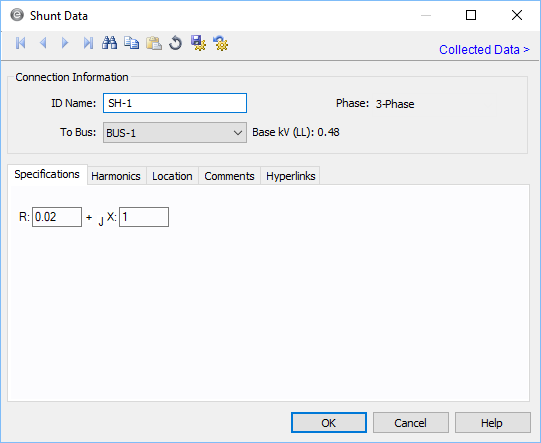 Standard shunt reactor data is entered using positive impedances, although negative numbers can also be entered.